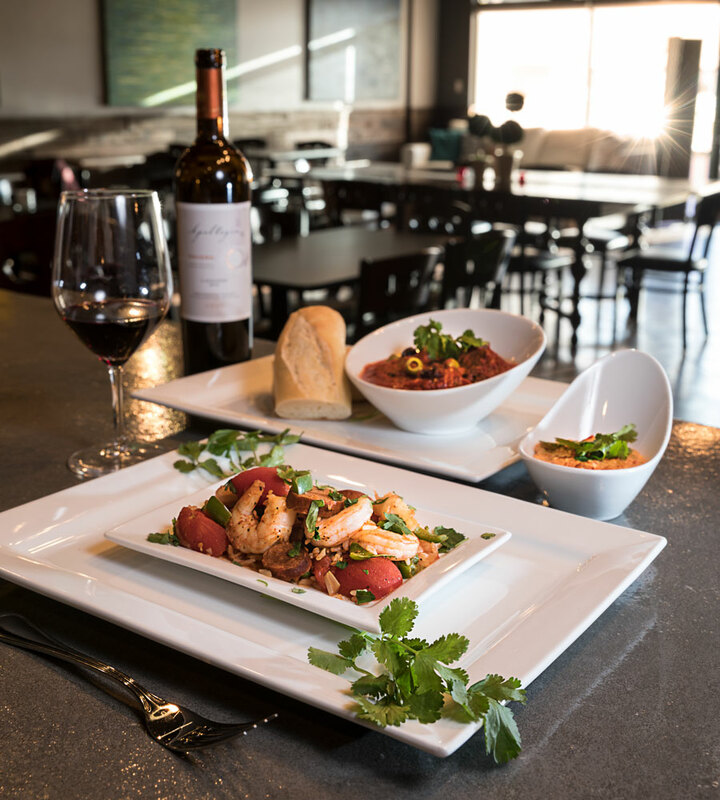 A new wine bar in Springfield offers an inventive wine list and a menu of small plates that are perfect for sharing. It was a Thursday night. It had been a long week, and it wasn’t even over yet. Another eight hours of work stood between me and the weekend. I was tired, hungry and in need of some libations. The thought of cooking something was unthinkable. My fridge was as empty as my week had been long, and traversing the packed aisles of the grocery store at rush hour seemed only slightly more appealing than a root canal without the laughing gas. I thought about picking up some greasy Chinese food, and as I debated whether I was in the mood for cashew chicken or broccoli beef, I decided I wasn’t in the mood for either. As tired as I was, I didn’t want to go home for the evening. I wanted to go out. I wanted to be among people. Happy, shiny people whose positive energy I could breathe in and absorb the way you might waft in the smells of a bubbling kitchen. 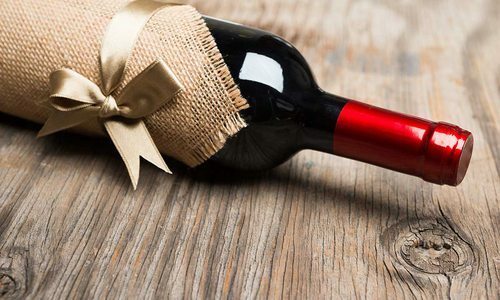 There’s no better place to find happy people than a wine bar. I called up a friend and suggested we try Cellar + Plate, a wine bar that recently opened on Lone Pine Avenue. I’d been meaning to try it and figured this was the perfect excuse. My friend was quick to agree, because—hello?—wine. When we got there, the place was packed. It turned out there was a wine-tasting event there that night. Dismayed, we were about to turn around in defeat when a server swooped us up and ushered us to a comfy white leather couch in the back. Things were starting to look up. My friend and I are not wine aficionados, and in the past I’d been turned off by similar places. Sometimes wine-centric restaurants can press heavy on the pretentious pedal, and there is nothing that loses my business faster than when a server makes me feel dumb. At Cellar + Plate this was not the case. Our server put me at ease right away and suggested a reasonably priced sauvignon blanc. We ordered the Loop, which was crisp and drinkable. I found out later that the owner, Mary Guccione, had guests like myself in mind when she decided to open Cellar + Plate. 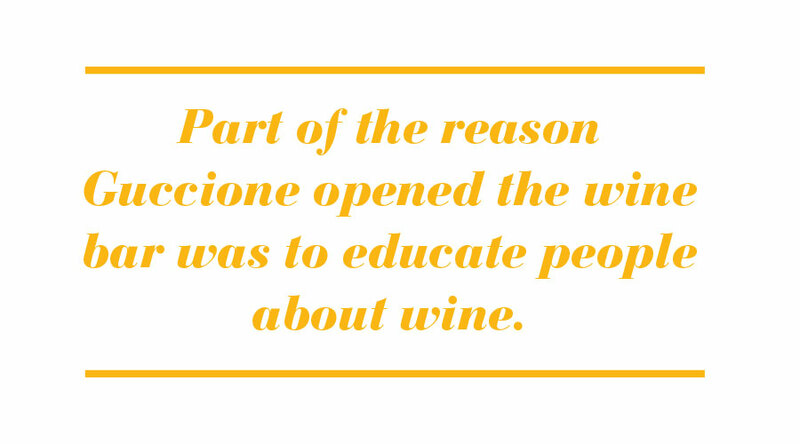 Part of the reason Guccione opened the wine bar was to educate people about wine. 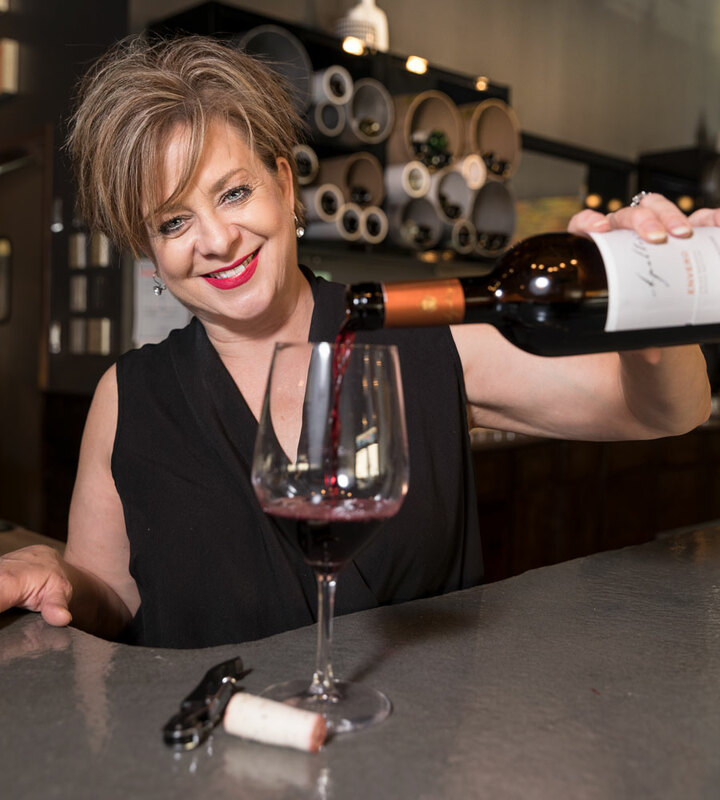 Guccione’s love affair with wine started when she was working at the now closed Sorrella’s Table in downtown Springfield. “Dr. [Tom] Prater brought in a 1961 white Bourdeaux, and it changed my life,” she says. “It was the most amazing thing I had ever tasted.” After that, Guccione started studying wine. Today she has passed her introductory level sommelier class and plans on becoming a certified sommelier this year. After we picked out our wine, my friend and I turned our attention to the menu, which is composed of nibblers, bites and tapas for two. I love menus like this because they allow you to try a bunch of different dishes. My friends have come to expect a “can I try that” from me when we eat out. At Cellar + Plate everything is meant to be shared, so I’m not in danger of leaving dinner with fork imprints in my hand. For starters, we decided to share the Romesco Gouda Dip. The dip combines tomatoes, garlic, red peppers, paprika almonds and smoked Gouda and is served with toasted pita. The dip was warm, salty and robust without being too heavy. For our main meal, we decided to share the Spanish meatballs and shrimp paella. 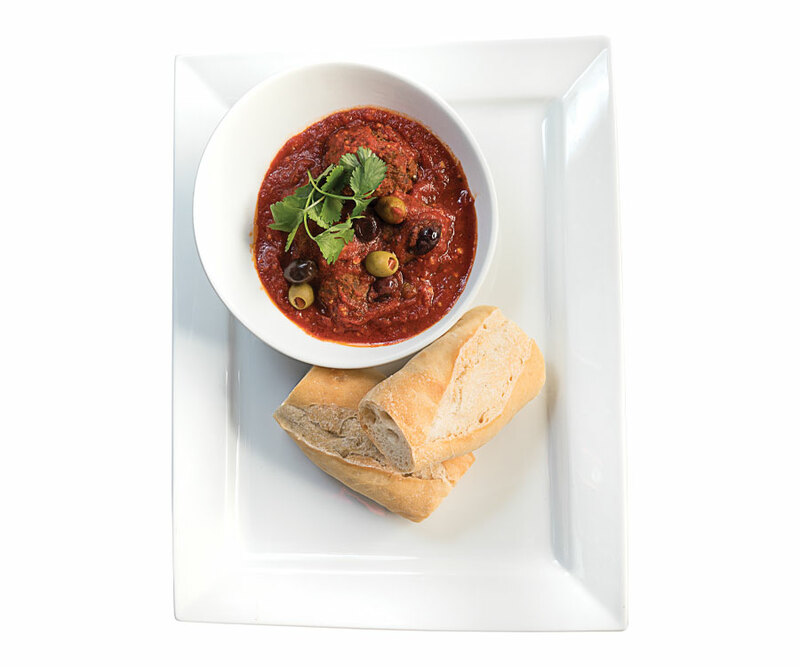 The Spanish meatballs are made with ground beef, chorizo sausage, Spanish spices and olives. They had a nice tang to them, and the crusty bread that came with the dish was excellent dipped in the sauce. I didn’t enjoy the paella as much as the other two dishes—it didn’t have enough rice to really be considered a paella—but we finished every last bite all the same. After we finished our meal, we lingered over our wine, happily chatting about our weekend plans. As I left, I felt relaxed and ready to conquer the next day. 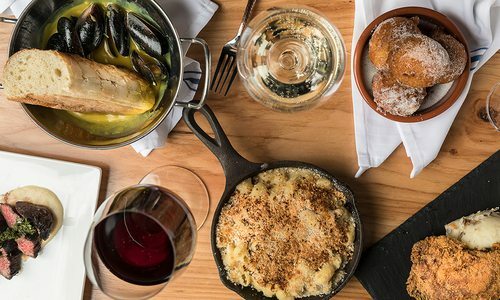 At Cellar + Plate, come for the wine and stay for the food. Dishes like the shrimp paella, Gouda dip and Spanish meatballs pack a plateful of flavor. Crusty bread is the perfect dipping accompaniment to the saucy Spanish meatballs made with ground beef and spicy chorizo sausage. 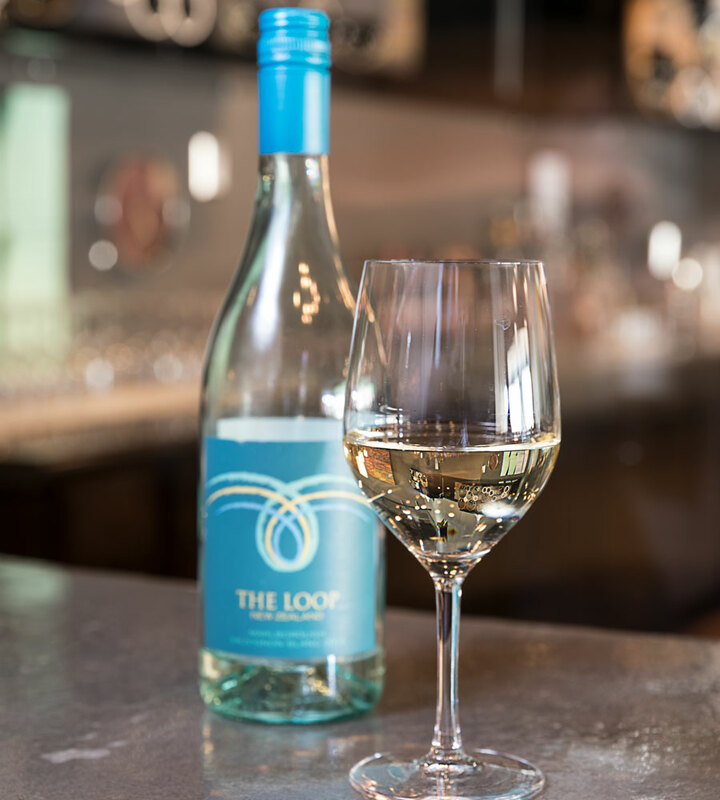 The Cellar in Cellar + Plate’s name means it has a wine for everyone, like the Loop sauvignon blanc. 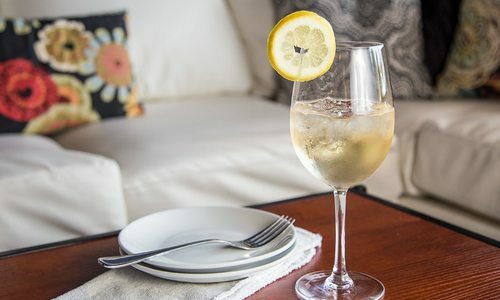 This spritzy drink is sunshine in a glass.